Resolutely committed to sustainable development, ATMOTERRA, member of the 1% for the Planet, committed to give back 1% of our annual net revenues to environmental organizations worldwide. 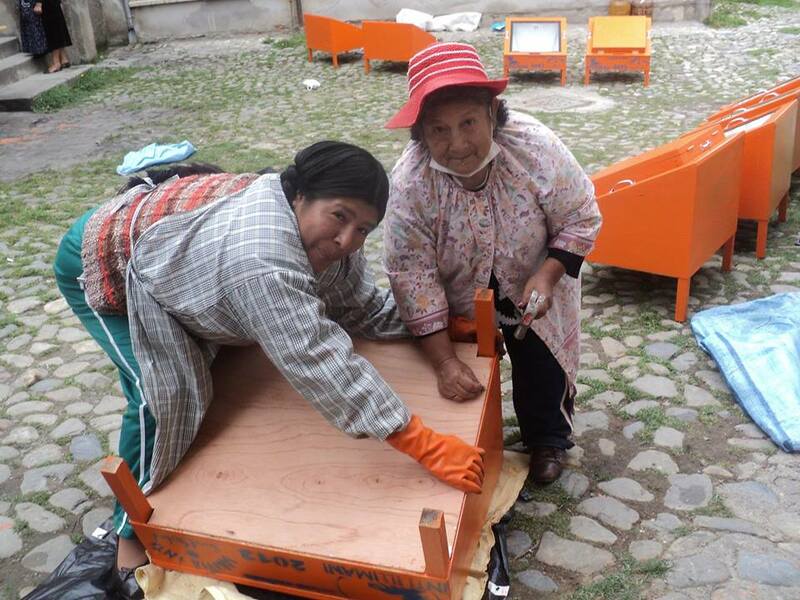 In 2016, we chose to support the association Bolivia Inti – Sud Soleil in their actions of promotion and diffusion of solar cookers in Bolivia. 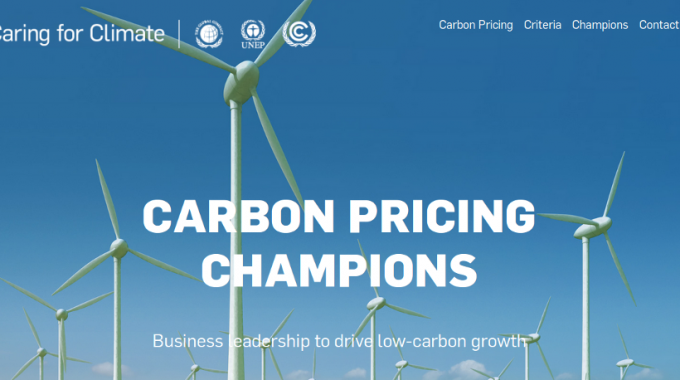 ATMOTERRA shares their commitments to improve the living conditions of the poorest populations (economy, energy independence, health and human rights), to preserve the environment, while fighting against global warming. Therefore, on the 5th of February 2016, we have materialized this partnership and ATMOTERRA gave back 1% of its 2015 turnover to the association Bolivia Inti – Sud Soleil also based in Nantes. In Bolivia, cooking is mainly wood-fired or gas. But for most poor families, firewood is the only option, resulting in a significant clearing of the native vegetation in a really fragile environment. The use of open fires for cooking also causes many health problems for these people (indoor air pollution by particulate matter). 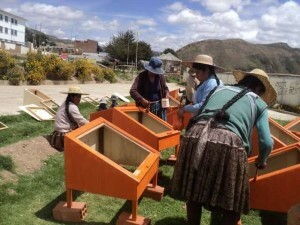 Since 2007, Bolivia Inti – Sud Soleil have been implementing concrete solutions for field problems. 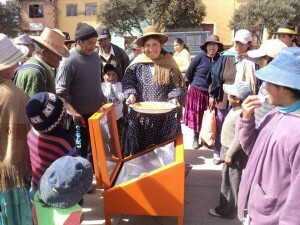 A solar cooker is a device that can capture solar light radiation to produce heat for cooking . It can reach a temperature of 150 to 200 ° C and allows even cooking, fast (20 min is enough) and safe, even unattended. This cooking method is particularly suitable in the Andes where solar radiations are important. Health : prevents eye and lungs disease caused by smoke (according to WHO every year 4.3 million people die prematurely from diseases caused by air pollution inside homes from inefficient use of solid fuels) ; prevent diarrhea through drinking water pasteurization . Environment: slows deforestation and land degradation and thus helps to maintain local biodiversity. 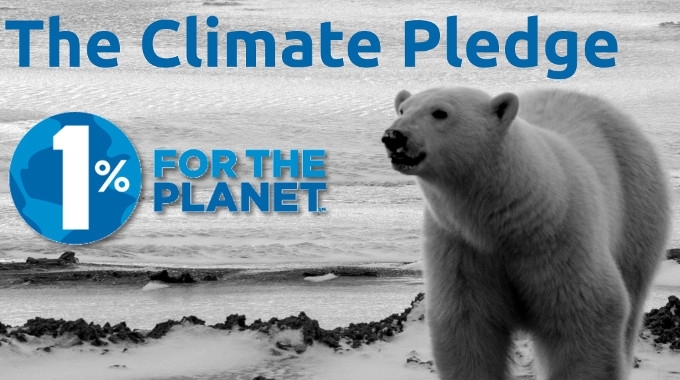 Climate : reduces emissions of greenhouse gases and therefore limits climate change. Economy : reduced fuel expenditures and promotes energy independence while creating local jobs. Human Rights: empowers women and children freed from the drudgery of wood collection (nearly 15 hours per week, 4 times 20 kg). 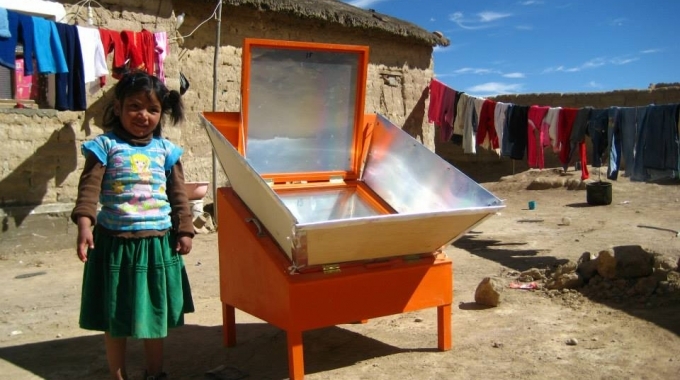 The project’s success is based on local employees, trained through skills transfer between Bolivia Inti, the local partners and the owners of solar cookers. The participatory methodology established by Bolivia Inti – Sud Soleil offers indeed the beneficiaries to assemble themselves their cookers while appropriating the tool during a 4-month follow-up period. 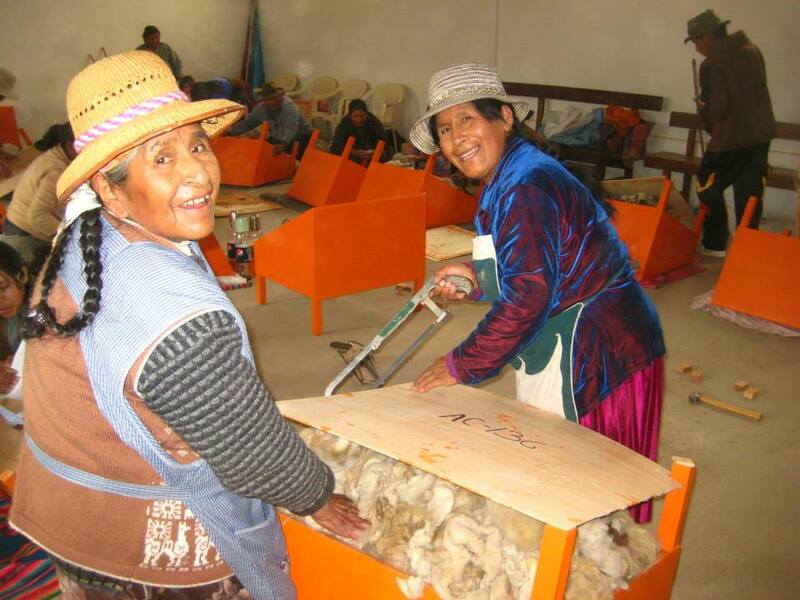 To ensure the sustainability of its action with the Andean partners, Bolivia Inti – Sud Soleil is engaged since 2007 in a process of empowerment and training of local partners. In addition, all materials used are sourced locally. The donation will contribute to equip 6 Bolivian families in solar cookers and also to improve their living conditions, protect the environment, while fighting against global warming. 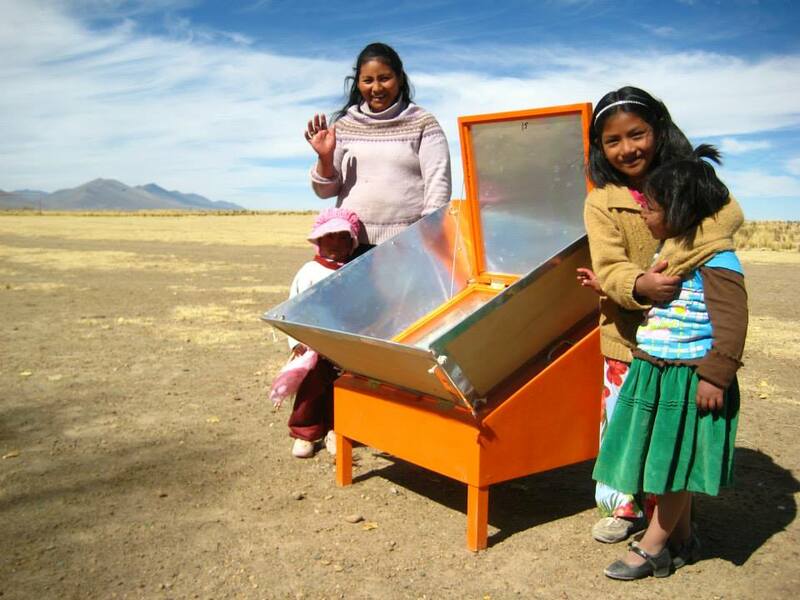 About 6 tons of CO2 will be avoided annually through this donation (for a 10-year period corresponding to the life of the solar cooker). This project of solar cookers has been, since 2011, labelled by the Gold Standard Foundation. This is the second project of solar cookers in the world to be certified by the Gold Standard. This action is part of our Corporate Social Responsibility (CSR) and integrates the social, environmental, and economic impacts of our activities and our interactions with our stakeholders.